Eat, Sleep, Tinker.2015 Mitty at Road Atlanta - Eat, Sleep, Tinker. Yes I know I’m way behind in posting updates to the blog. I’ve been somewhat overburdened with getting my Spec E46 ready for racing. I’ve found myself in a recent lull in car work, so I might as well get you caught up with my latest automotive and motorsports ventures. 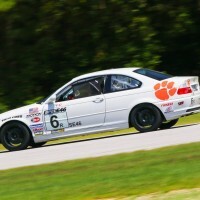 Moving back home to the East Coast has certainly made it much easier to attend the broad range of auto-related events held east of the Mississippi. Last Fall I attended the Eurofest car show at the BMW plant in Greer and more recently the Rolex 24 at Daytona. I still haven’t made it to the Savannah/Hilton Head auto week, Amelia Island, or the Vintage in Salem, but I did have an opportunity to swing by the Mitty at Road Atlanta. 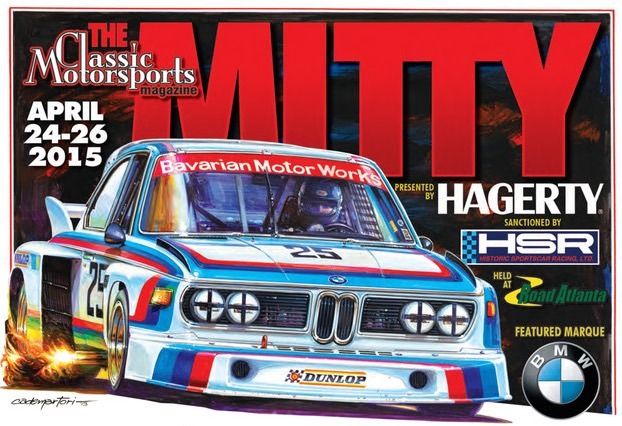 The Mitty is recognized as one of North America’s most prestigious vintage racing events. Sanctioned by Historic Sportscar Racing (HSR), The Mitty attracts a diverse lineup of legendary machines from all eras and brings them back on track just as they raced in their glory years. It’s like a living, breathing museum of racing history unleashed on the famous Road Atlanta circuit. Whether your interest is Can-Am, F1, Trans-Am, Camel GTP, or even NASCAR- you’ll find a great lineup of cars that is sure to bring back memories. My father and I made a day trip out of it, having just a 3 hour one-way drive to the event. We took my ’98 M3/4/5 (that’s M3, 4 doors, 5 speed) so as to better blend in with the featured marque crowd. 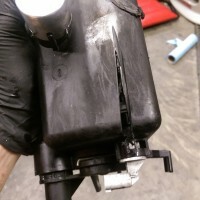 The trip was dual purposed, as I also was picking up a new AiM Smarty Cam HD rev 2 from driving coach Peter Krause who was on hand helping some big-bucks teams with their squiggly lines. After linking up with Peter and getting a quick tutorial on setting up the camera, my father and I just roamed the paddock at length. There was plenty of precious metal to gawk at. Things like Zagato Astons, Lightweight E-types, Mclaren CanAm prototypes, and of course plenty of vintage Bimmers. We then moved over to the infield area, walked the pro-paddock where we had the luck to catch the BMW heritage race cars lined up in the hot pits. They weren’t running yet and no one seemed opposed to me hopping the barrier for a closer look. They had the PTG E36 in its Yokahama red, white, and black livery, the winning number 6 at that. 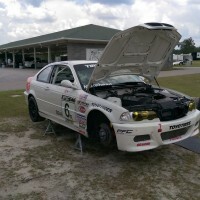 Also the later PTG E46 in PFC sponsorship trim. Behind those two was the famous “Batmobile” CSL coupe, as seen in the official poster at the top of the page. Bringing up the rear was a current Team RLL Z4 GTLM car, painted in throwback livery to match the CSL and commerate the ’75 Sebring win. Just as I was about to move on, up came a golf cart loaded with drivers. Now I’m not the longest running road race fan, so I can’t name too many drivers, but Boris Said is a bit hard to miss. Wearing street clothes, he hopped over the barrier and climbed in the E36M3. A few seconds later all four cars were snorting and burbling. They took off, not to race, but to bring the cars around to the pit entrance to be loaded on the carrier back to RLL’s base. We then spent some time on Spectator Hill and a few other spots, just watching the vintage cars race a bit. It was a good time and a worthwhile experience, rarely do you get to see such historic machines still doing what they were designed for so long ago.